The Nora Lagoon includes the branched system of channels and little islands that characterize the mouth of its river, the Rio Arrieras, and it is separated from the sea by the Fradis Minoris peninsula, geological formation known as the Tyrrhenian Bench, rich in fossil inclusions. 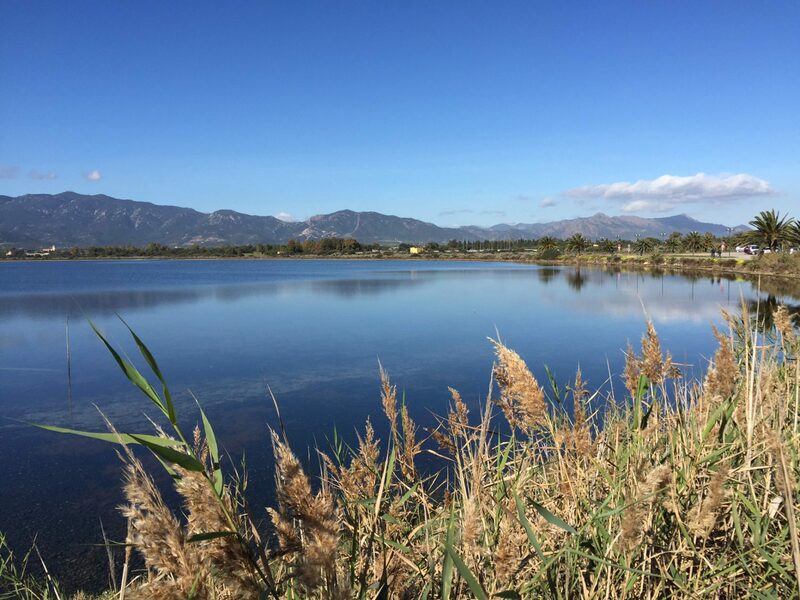 The Peninsula was used, in the Punic and Roman times, as a quarry for the extraction of material for the construction of the city of Nora, and now is covered with lush Mediterranean vegetation and other flora species typical of brackish wetlands. When walking along the Peninsula you can observe the evident traces of human labor. The Laguna Park is home to numerous species of birds including the most representative of the coastal birdlife including the rare Audouin’s Gull, which the Laguna di Nora is the main nesting site in Italy. Amidst the shrubs of the Mediterranean maquis you will find a little cabin equipped for birdwatching. It is perfectly suited to scrutinize the flight of egrets, herons, kingfishers, the rare gull, study their characteristics and their habits, listen to their song, so different for each species. Birdwatching can be done throughout the year and allows you to observe the birds without any disturbance or affecting them. WE RECOMMEND … RISTORANTE SU FURRIADROXU IN PULA The perfect time to taste the Urigliettas!